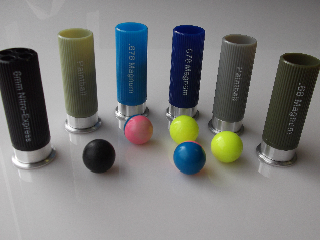 The Interchangeable tips or 'barrels' on Goblin Air Cartridges let you blast out single Paintballs or 12 6MM bbs at time! Take out multiple adversaries in one shot! Both the Goblin Deuce and Solo can launch Paintballs, First-Strike Rounds, and 6mm Airsoft BBs! GOBLIN manufactures some of the most unique Paintball and Airsoft Launchers in the World! 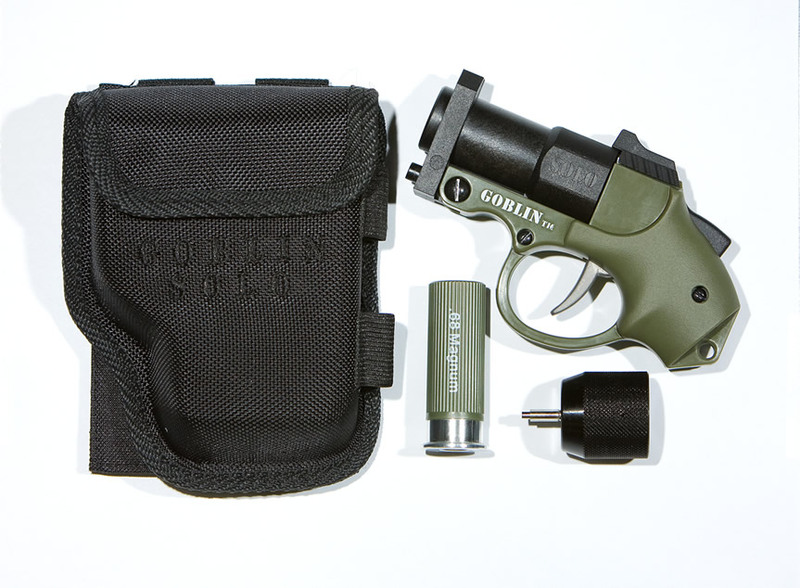 The amazing GOBLIN SOLO puts the power of a concealed back-up shot in the palm of your hand, and is essentially the World's Smallest .68 Paintball Marker! 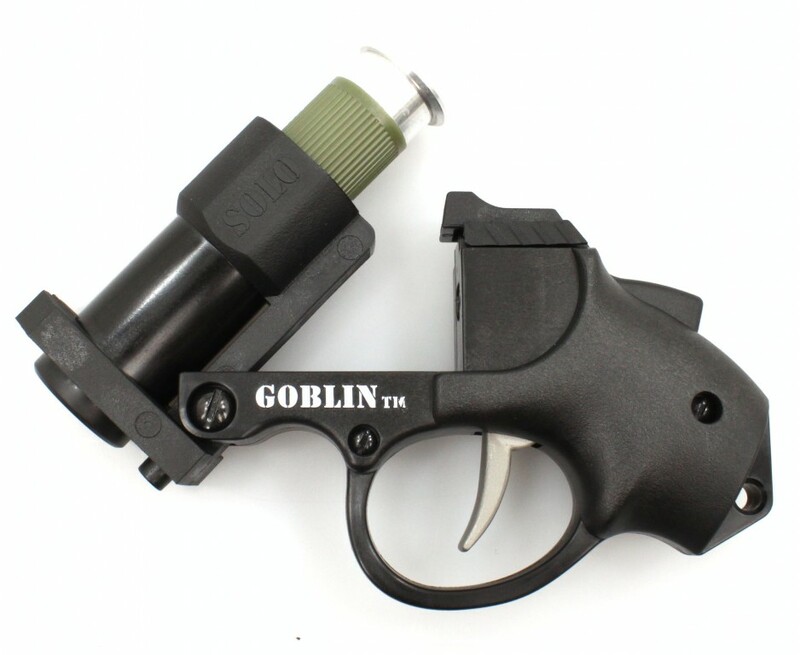 Players looking for a bigger gun can now choose the awesome Goblin DEUCE! The Solo's Big Brother packs Twin Barrels, a Shot Selector Switch, and the kind of Post-Apocalyptic Good Looks that will make you want to just get out and blast some Zombies! Using Rechargeable Air Cartridges, the SOLO and DEUCE have dual-personalities, enabling them to launch Paintballs as well as Airsoft BBs by simply switching the Air Cartridge's Barrel! Back Up Your Game... with a GOBLIN! GOBLIN DEUCE / PLAYER'S SET! Buy the Conversion Kit if you want to convert your GOBLIN SOLO to a DEUCE! Barrel Sizers for Goblin Air Cartridges! Ensures a proper paintball fit for maximum performance!Comes in .678 and .676. Each pack includes 2 of each size as well as a spare .680 barrel. 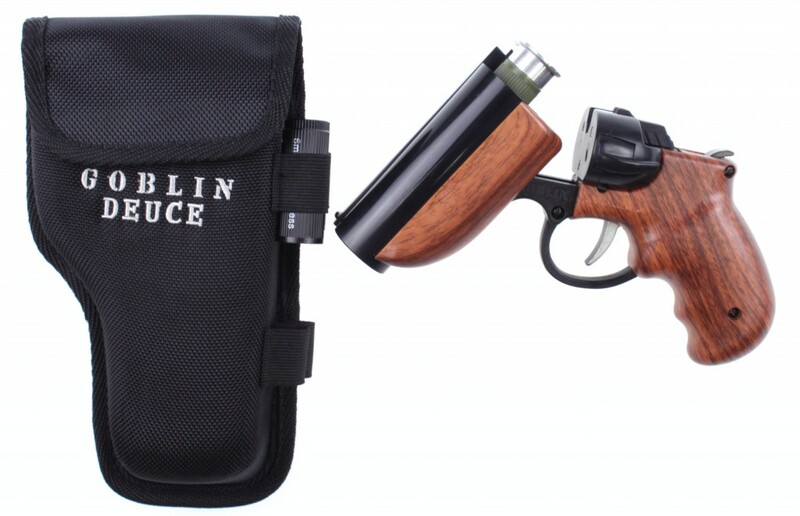 Includes GOBLIN SOLO, .68 Magnum Barrel, Air Cartridge, Air Fill Adaptor, M.O.L.L.E. Holster, O-Ring Kit, and Instructions. The GOBLIN Air cartridge works with either HPA or CO2. 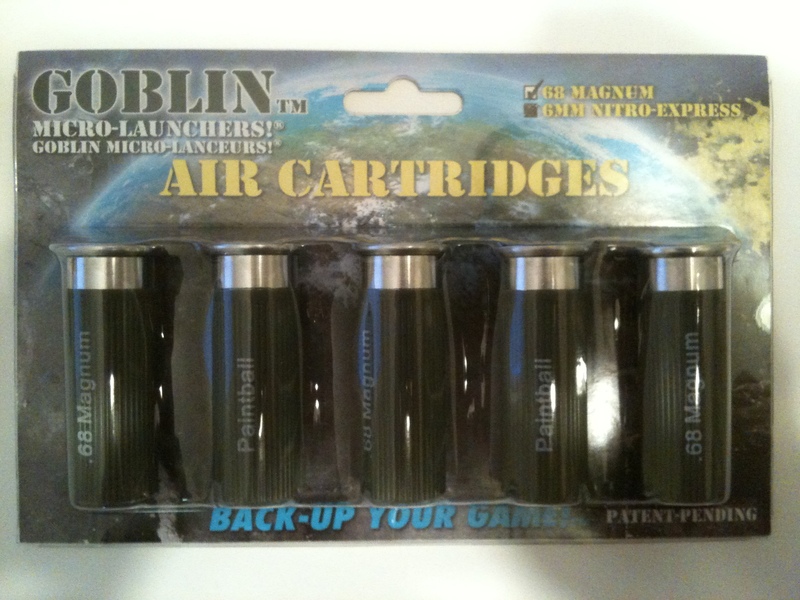 PAINTBALL Air Cartridge 5-Pack . Each cartridge shoots one .68 paintball. AIRSOFT (6MM) Air Cartridge 5-Pack. Each Cartridge Shoots up to 12 6mm airsoft BB's at once! GOBLIN 6mm Nitro Express Barrel. Mounts to M.O.L.L.E. webbing or can be used on a belt. 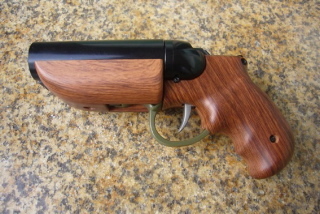 Holds two extra GOBLIN Air Cartridges on the side of the holster. Hook and loop flap closure. 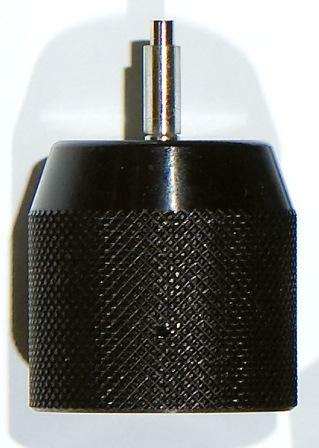 Fits on standard CO2 or HPA tanks. 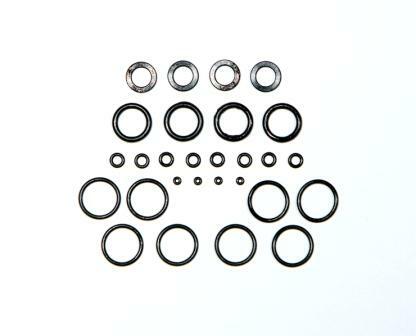 Includes 4 of every O-Ring used in the GOBLIN Air Cartridge. If you have any questions about GOBLIN Products, your current order, or you'd like to order directly from our Sales Department, please click the email link below.